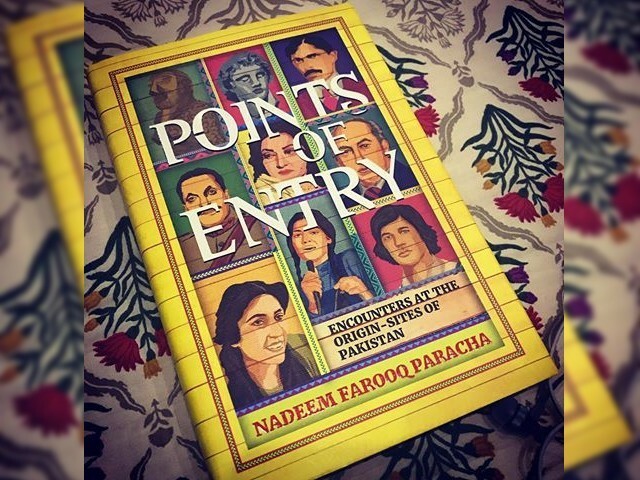 Nadeem Farooq Paracha, or NFP as he is often called, has been one of the profound influences on my intellectual development. I have been an avid reader of his columns since the early 90s when he started making his mark as a music critic. As a keen reader, besides his regular columns, I have also read all of his three books. Not only that, I also reviewed his first book titled End of the Past for Huffington Post and also had the privilege of interviewing him about his second book for Express Tribune. His third book, which I have recently finished, is linked with his earlier two books but at the same time can also be called distinct. In fact, all three books are connected as Pakistani society and nationalism are the common themes and yet each book approaches the subject from somewhat distinct angles. His first book was more of a personal narrative about the way the social fabric of Pakistan changed from a more tolerant and pluralistic society to an intolerant and extremist one. His second book, on the other hand, was a more academic treatment about the way Pakistani nationalism has evolved over several decades and how this evolution has ended up generating several “strange” individuals whom he calls anti-heroes. The second book, in my opinion, is a must-read for both its academic rigour and narrations about some very interesting and peculiar individuals who have appeared frequently during Pakistan’s evolution over the past seven decades. His third book titled Points Of Entry: Encounters At The Origin Sites Of Pakistan is also about Pakistani society and nationalism but, as mentioned above, treats the subject from a different angle. Here, Paracha’s objective is to highlight the contradictions emanating out of the “official” nationalism narrative. All ethnically diverse states try to cultivate civic nationalism, which aims at building a national identity transcending immediate ethnic as well as tribal identities. There is nothing wrong with it as the building of such an identity is important for the preservation of the state. However, what matters is the way you cultivate it. 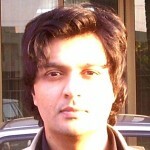 In the case of Pakistan, unfortunately, the civic nationalism project has tried to forcefully subdue ethnic diversity instead of accommodating it, and has also presented false history which trivialises extremely rich and plural past which the area now known as Pakistan has experienced over thousands of years. Our textbooks weave an illusionary history by churning out half-truths aimed at indoctrinating the students with a religion-based nationalism. History has become a weapon of propagating that nationalism. Over the past seven decades, the thrust of our narrative is that although Pakistan is still a new nation-state, its roots are in Arab invasion of Sindh in the seventh century! Consequently, at the state level, we have gone as far as calling Muhammad Bin Qasim the first Pakistani! In his latest book, among other things, Paracha’s main emphasis is on the way history is being taught and the effect it is having on the population. His main contention is that one must recognise the rich and diverse history and Pakistani nationalism should be built on that. In other words, successful civic nationalism does not need deliberate historical inaccuracies and distortion of facts. Another theme which he explores is the struggle of Pakistani society due to extremism and state-imposed reactionary policies. The entire book is a collection of essays, most of which aim at some important parts of our history which have been overlooked, distorted or fabricated to suit the official narrative. In each essay, Paracha illustrates his point by narrating his personal encounters with some individuals in which that particular aspect of history came to be discussed. Through this method of describing his personal encounters, Paracha tries to uncover multiple layers of history which have shaped our language, customs and various other traits. These encounters also highlight the tensions emanating due to the conflict between this multi-layered past and the official version which presents a highly selective and distorted version of history. Some essays also highlight the plight of the society which is right now being torn apart by the imposition of the hardline and literal strand of faith. In the opening beautiful essay, he describes his encounter with a guide at the historic site Mohenjodaro in the 80s, who had a fierce pride in his Indus Valley Civilisation roots. Paracha’s narration of the discussion between him and the guide highlights the problems emanating out of the official narrative which overlooks the significance of Mohenjodaro and the great Indus Valley Civilisation to which it had belonged to. In another essay titled My name is Pakistan and I am not an Arab, Paracha examines how Qasim, who for the large part of recorded history was considered an insignificant figure, became an important historical character after the creation of Pakistan, so much so that many textbooks started referring to him as the person who laid the genesis of Pakistan. Due to this lionisation of Qasim as some kind of a “founder” of Pakistan, a strange kind of fascination with Arabs has developed and many Pakistanis actually think of themselves as descendants of Arabs. In fact, in another essay, Paracha describes how a book, which he had read in his childhood, linked his ancestry to Arabs, something which he later found to be dubious. The reality is that as inhabitants of the Indian subcontinent, even our religious practices and beliefs are influenced a lot from each other, a point which Paracha makes beautifully in the essay about Jholey Lal, who was a Sufi saint revered by both Hindus and Muslims. The book also contains essays about some distinct Pakistani communities such as Siddhis of Lyari and Goan Christians and the way their lives have changed due to the rapidly changing political situation in Pakistan. In Paracha’s view, Ziaul Haq’s years were particularly eventful and changed the lives of such communities profoundly. The essay about the Gaon Christian community is particularly moving as it traces the way the lives of the community changed overtime due to the advent of a reactionary dictatorship of Zia. Points Of Entry is a beautiful book and a must-read for anyone who wants to have a more nuanced and hence more realistic understanding of Pakistan’s fascinating, complex and extremely diverse society. It is also a very timely book as it raises those issues which we as a society are grappling with right now and perhaps failing to properly address. Seriously? Modi Sarkar and his minions are also rewriting history books. maintenance and very heavy local pollution.